Share the post "RAMMSTEIN Teases Two New Songs, ‘Radio’ And ‘Zeig Dich’"
German industrial metallers RAMMSTEIN have released audio samples of two new songs, “Radio” and “Zeig Dich”, via their YouTube channel. Both tracks are expected to appear on the band’s long-awaited seventh studio album, simply titled “Rammstein”. The LP comes out May 17 via UME/Spinefarm in Europe and Caroline Records in the U.S.
Last month, RAMMSTEIN released an epic nine-minute Specter Berlin-directed video for “Deutschland”, the first single from “Rammstein”. 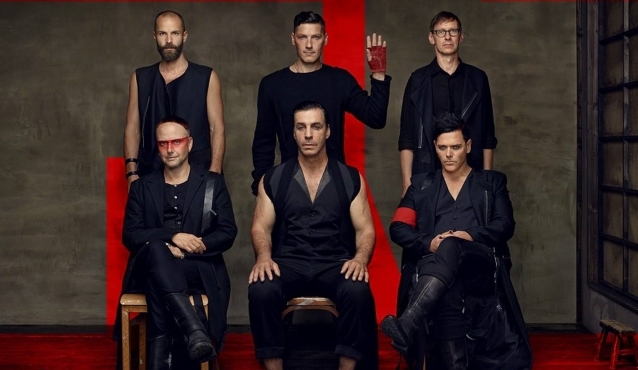 RAMMSTEIN‘s first studio album since 2009’s “Liebe Ist Für Alle Da” was produced by Olsen Involtini with RAMMSTEIN and was mixed at a Santa Monica, California studio with Rich Costey, an American producer who has previously worked with MUSE, RAGE AGAINST THE MACHINE and FRANZ FERDINAND, among others.